Long ago and far away, I took a Psychology course at St. Johns River Junior College. All I remember about it was taking a standard IQ test sometime during the final week. The day after the test, the instructor told me I should join Mensa. I didn't know what Mensa was and wasn't inclined to find out. Many years later, I discovered Isaac Asimov. It was love at first read. After blowing through two or three of his books I did some research and discovered that he was a mover and shaker in Mensa. 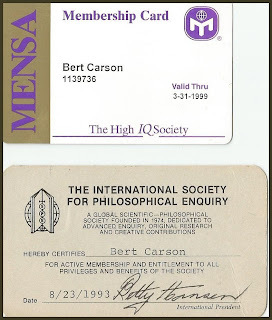 I recalled the suggestion that I join Mensa and I decided to do it. I quickly discovered that you don't just join Mensa. You pay ten dollars, take a test, and if you are at or above the 98th percentile then you can join. I took the test. Qualified. Paid my dues and joined up. 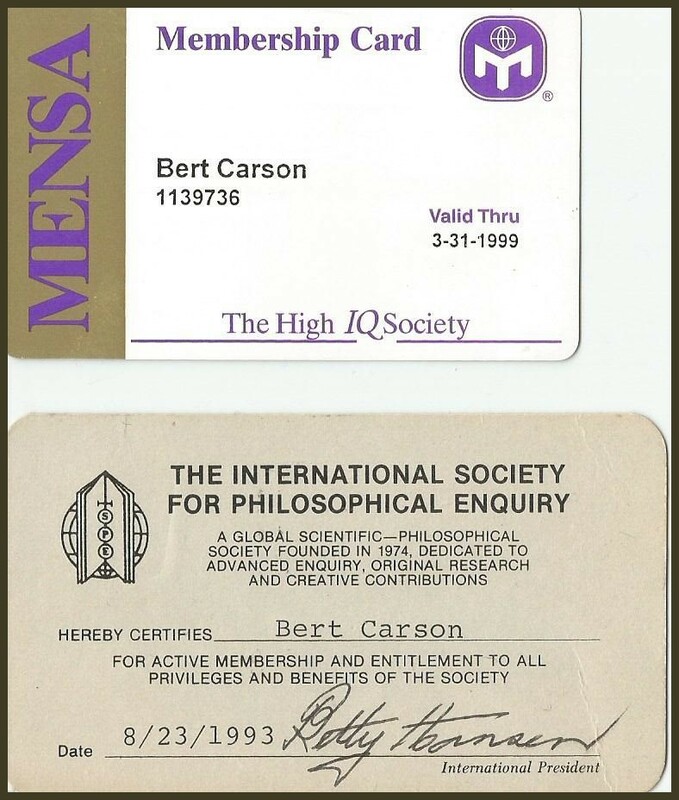 A couple of weeks later, I received a letter from The International Society for Philosophical Enquiry informing me that I qualified for admission to their organization, whose admission standards are higher than Mensa's. So I joined up with them. But, I didn't do that because I realized at an early age, credentials are nothing. What one does is all that matters, or, to be accurate, how one does what they do is everything. Are you a writer? Letting the world know that you are a "best selling author," or a "PhD," or a "MSU," doesn't change a word, paragraph, or chapter of your writing. You don't need credentials to write - you do need heart, commitment, passion, intensity, humor, understanding, and willingness to work impossibly long hours, most of which occur long after everyone else has gone to bed - and you had better have been called to the task by something higher than the desire to make a lot of money. Neither a high IQ or fifteen degrees or a multitude of awards will make you an author. "Don't get hypnotized by your own propeller." You might want to write it on the cover of your log book.